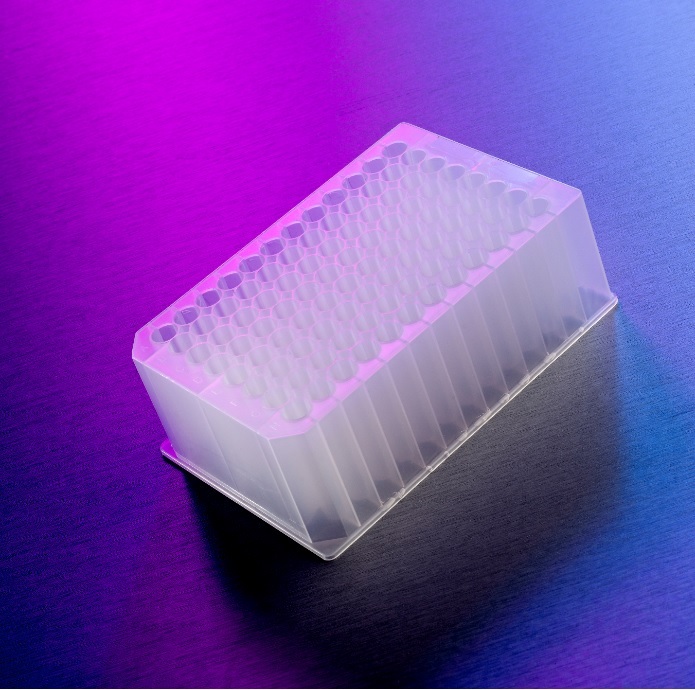 Microplates expert Porvair Sciences has launched a reinforced base version of its 96-well deep round microplate (P/N 21920). The plate has been designed with a working volume of 2ml per well (double that of some round well reinforced storage plates) and can be routinely centrifuged at up to 6,000g. Manufactured from ultra-pure grade polypropylene, Porvair's new reinforced base 96-well deep round plates are certified as RNase/DNase-free and contain the lowest possible level of contaminants that may leach out and affect the sample. Designed to a standard ANSI/SLAS 96-well plate footprint the plates are fully automation compatible. The new plate design not only has a reinforced base but also incorporates features that prevent 'locking' when stacked and enable easy heat sealing. The plates' cylindrical wells with round bottom ensures optimal mixing and recovery of sample.